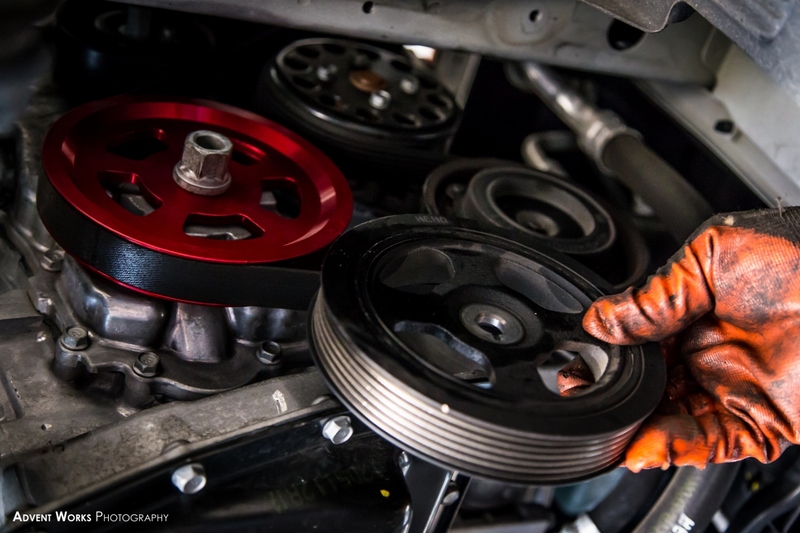 Both horsepower and torque numbers were consistently higher with the NST CR-Lite Crank Pulley. Testing was performed in third and fourth gear, and max power and max torque were up by approximately 5 points in both cases. Looking at the graph plotted for Speed vs Time, we see that 110mph was reached faster with the NST CR-Lite Pulley. 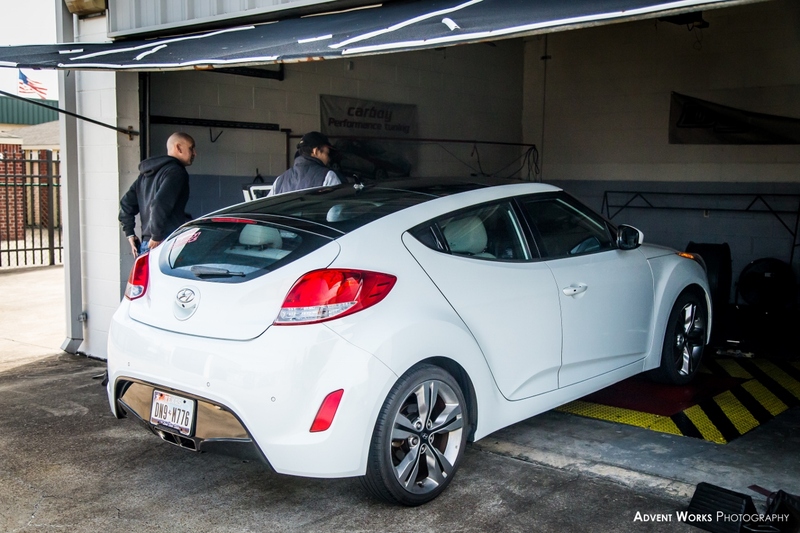 The Veloster’s acceleration seems to have improved by about 1 second in this test. Conclusion? 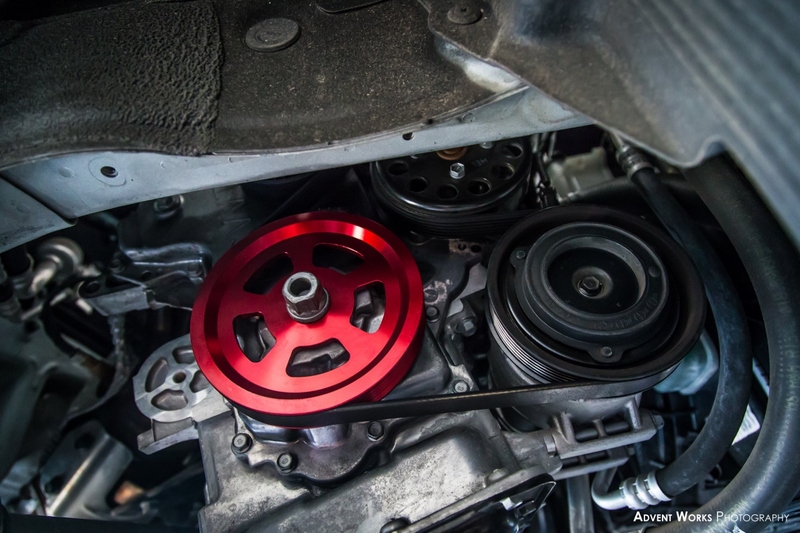 NST Pulleys improve power, torque, and response across the entire power band. Looking at the area under the power and torque curves you will notice positive gains in the low, mid, and high range when the NST Crank Pulley is used. No other modification in the same price range can offer similar gains across the entire power band. 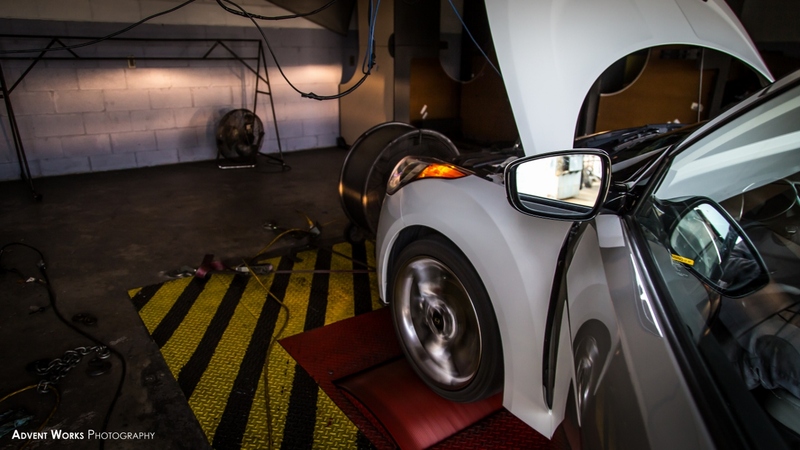 This fact makes the NST Pulley one of the best bang per buck performance modifications for the Hyundai Veloster. Posted on January 30, 2015, in Motorsports, NonStopTuning, NonStopTuning Media, NonStopTuning Products and tagged Hyundai Veloster Performance, NonStopTuning Pulley, NST Crank Pulley, NST Hyundai Veloster Pulley, NST Lightweight Crank Pulley, NST Veloster Pulley. Bookmark the permalink. 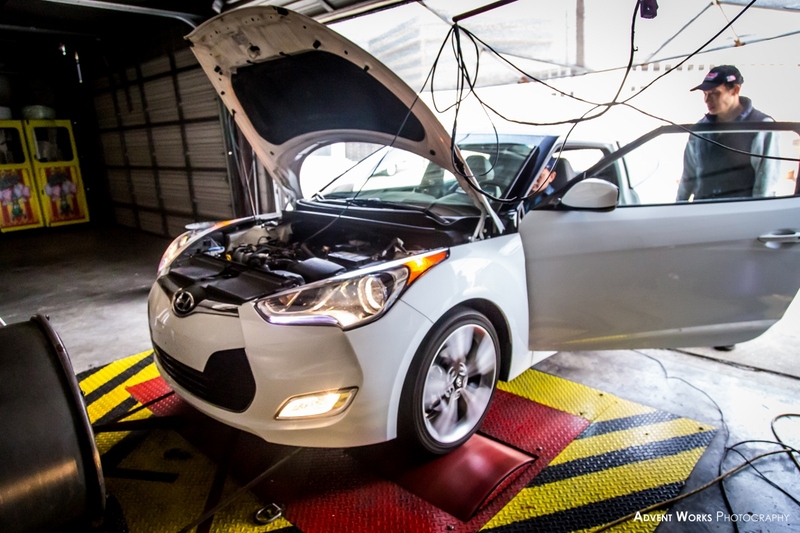 Comments Off on NonStopTuning Hyundai Veloster Pulley Dyno Testing.